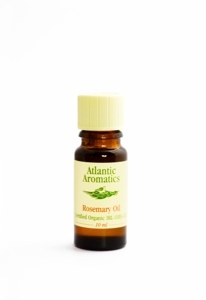 Like rosemary, hibiscus is a great natural ingredient to incorporate into your hair regime. The hibiscus flower is mainly used in herbal teas, but not only is the tea healthy and delicious, it can also work wonders on your hair! Although there has been very little scientific research into the beauty benefits of the flower, it has been used by women for centuries, in cultures all over the world. 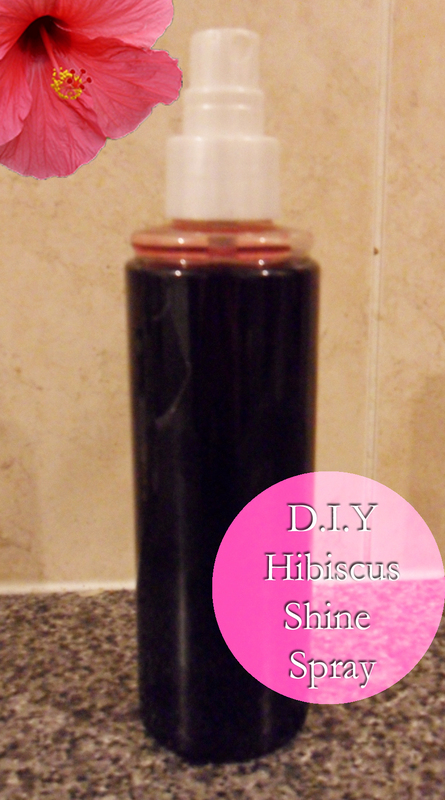 For me, the best thing about using hibiscus on your hair is the fantastic shine it gives, especially to red and brunette hair, and it couldn’t be easier or cheaper to prepare! 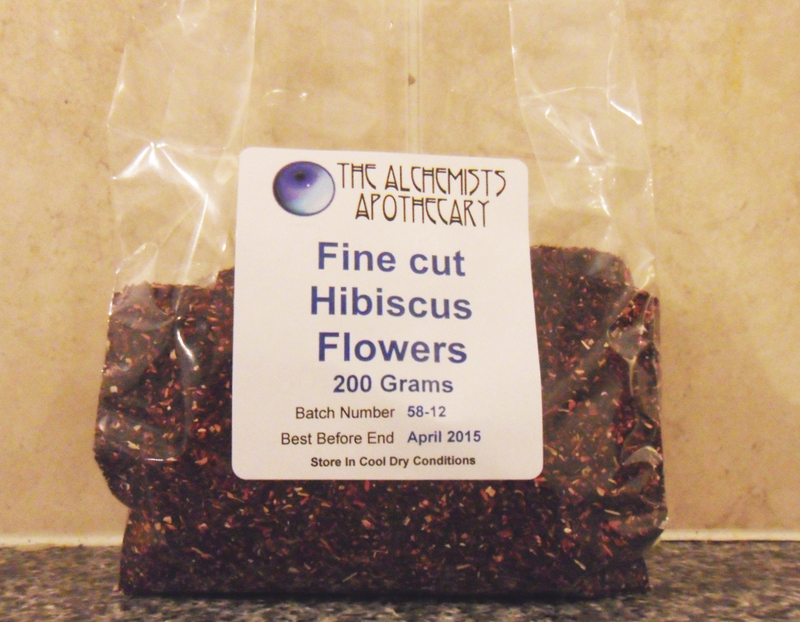 The first thing you will need to do, is buy some chopped hibiscus. 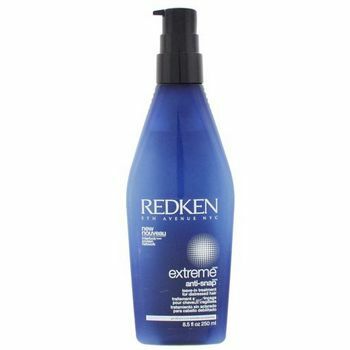 I get mine off ebay here for £4.25 for 200g (This will make 20 bottles of shine spray!!). 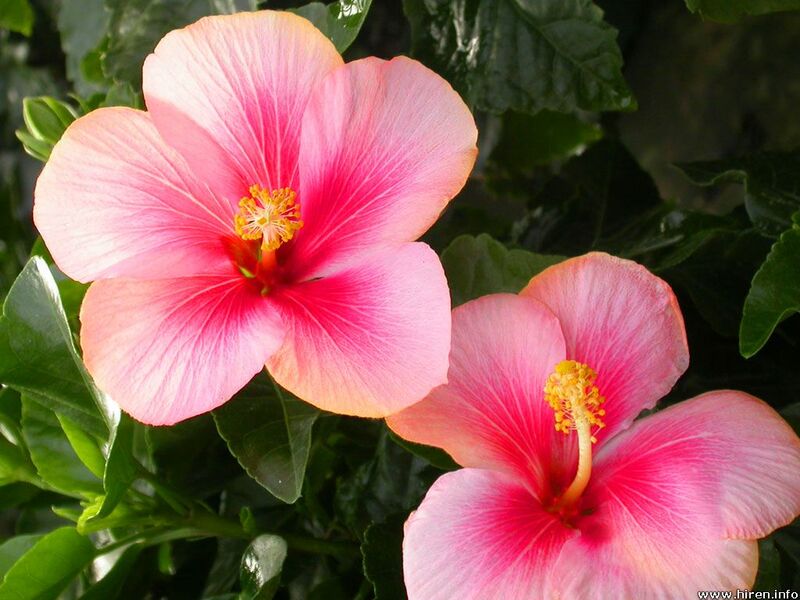 Make sure your hibiscus is dry and fine cut. Measure out 10g of chopped hibiscus. Add this in a saucepan to 500ml of boiling water. 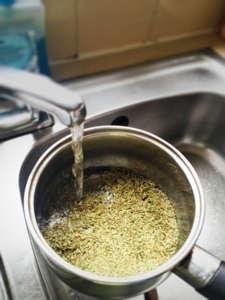 Leave to brew on a low heat for about 10 minutes (or up to half an hour if your patient). The water should turn a lovely deep shade of pink. Also, your kitchen will smell AMAZING! To create a shine boosting mask, combine with a table spoon of coconut oil and apply all over wet hair. Wrap hair in a warm towel and leave over night. 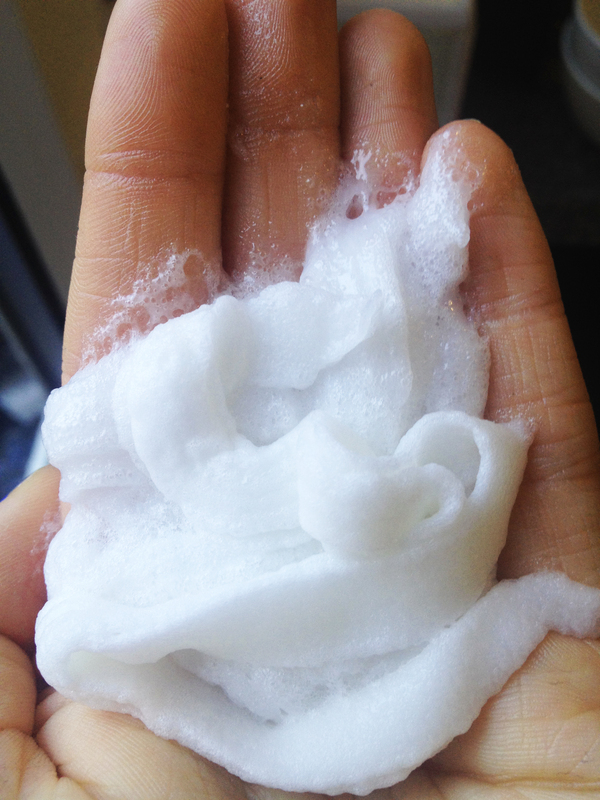 Wash thoroughly with a light shampoo and conditioner. Warning this is messy, apply the paste in the shower or over a towel/sink. To create a natural moisturising face wash, combine the left over leaves with some olive oil. Don’t be alarmed at how pink this is, it won’t dye your skin. Keep the leaves in a ceramic bowl and put on top of a radiator to fill a room with their relaxing fragrance. Posted in Hair care, Hair Growth and tagged Beauty, hair, Hair care, hair tips, haircare, Hibiscus, natural, natural beauty, oil, organic, shine, tutorial. Bookmark the permalink. The truth about hair care according to the Hair Bible. It is no secret that Philip Kingsley is the most renowned and successful trichologist to date. His products are definitely some of the best on the market, and are highly regarded by professionals. I personally am a loyal consumer of the famous ‘elasticizer’ (designed for Audrey Hepburn) and ‘shampoo for fine hair’. Wanting to learn a little more about the man himself, his theories and to broaden my knowledge of hair, I purchased ‘The Hair Bible’. Released in 2003, it is a guide to preserving and enhancing the health and appearance of your hair. 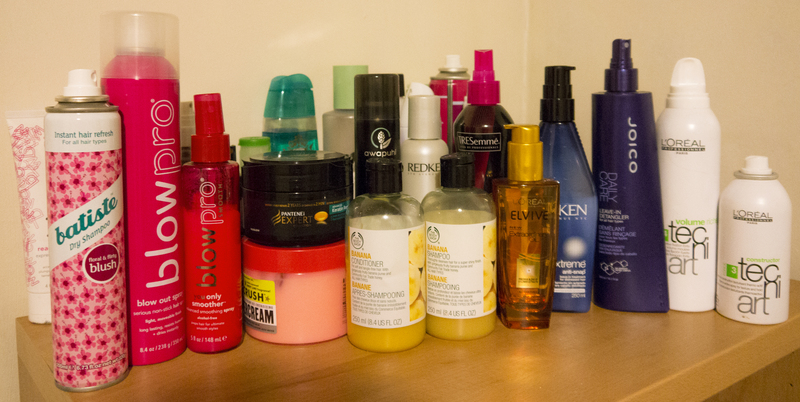 Although it is 10 years old, I found everything still relevant to today, and would really recommend it if your researching into your own hair care routine. I snapped mine up from amazon for less than 2 quid! I found the book very informative, however I was shocked at some of the things he had to say. Particularly the chapter on hair myths, as some of these I had a fundamental belief in, from hours of research online, to reading blogs and listening to friends and family, Kingsley has made me question many of my hair care ideals and practices. So I thought I would share a few of the most controversial ones, and see if you agree with Phil?! Cutting your hair makes it stronger/grow faster. I have never really believed this myth, but I know a lot of people do, even hairdressers! 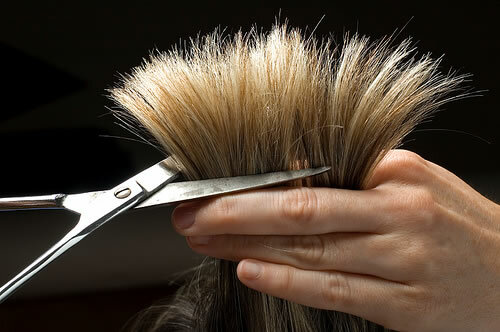 ‘Neither is true, your hair is not like a lawn or a rose bush where cutting can stimulate fresh growth. Compare your hair to bamboo, a long cane bends and flexes easily, whereas the same cane cut shorter feels hard, inflexible and stronger.’ Totally agree with you on this one Kingsley, although it is still important to get your hair trimmed every couple of months to prevent breakage which will make it weak. Hair gets used to the same shampoo. As a hair blogger, I change my shampoo’s so frequently that I could never experience this, however it’s a myth I have heard many times and lots of women believe. 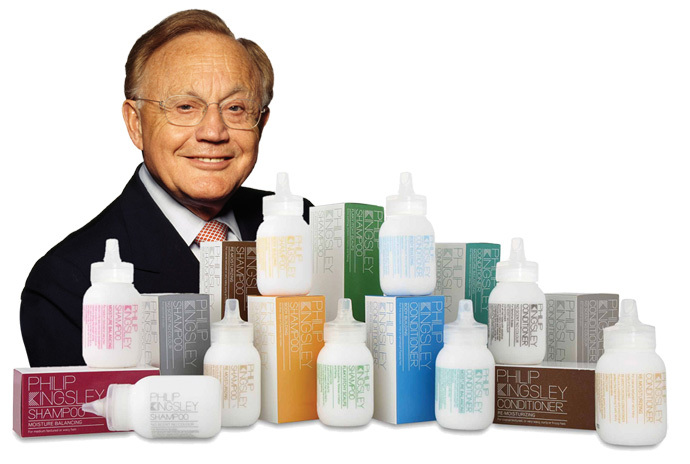 Philip Kingsley disagrees, ‘ This is a myth initiated by shampoo manufacturers to encourage consumers to swap brands. 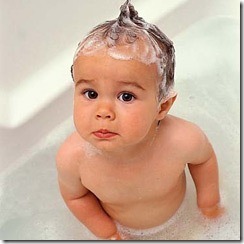 The same shampoo, used on the same hair under the same circumstances, always gives the same result. Shampoo buyers are noted for their disloyalty (guilty) and manufacturers frequently take advantage of consumer dissatisfaction with other competitors.’ So that’s great news if you have found a shampoo that you love, don’t switch it just for the sake of it! Only change a shampoo that works for you if you change your hair e.g you dye it, heat style it more often, perm it, move to/visit a very hot or cold country. I like to try and incorporate as many natural and organic products into my routine as possible, I don’t know why, but I feel like you are doing your hair and the planet a favour when you do. In this day and age, it’s not really acceptable to say you would use anything synthetic and chemical ridden over an organic alternative However Kingsley isn’t afraid to speak out on this one. ‘This is another physiological ploy adopted by advertisers. 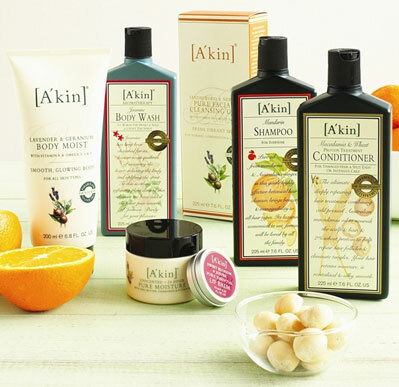 Products labelled ‘botanic’ ‘organic’ or ‘herbal’ also carry the connotation they are natural. We could equally say that deadly nightshade, poison ivy, a bee sting and rabies are ‘natural’, yet the word implies something healthier and better for you. ‘Chemical’ has negative associations, although everything is chemical. Even when natural ingredients are used they have to be extracted, leeched, masticated and mixed with chemicals to preserve them! By the time a natural ingredient has reached a commercial product, it is completely different to its original form. Natural is just a feel-good factor.’ So it seems unless you are putting raw fruit and veg on your hair, its not worth buying into the natural hair care brands. Not sure if I fully agree with this, but he has a good point. Dying your hair makes it fall out. In the past I have had bad experiences bleaching my hair, and it has definitely made it thinner. This could be from it falling out, or it just continuously breaking from the ends. The Hair Bible states ‘There is absolutely no scientific evidence to support this. It may sometimes appear so because colouring often starts when we age, which is the time hair will begin to thin anyway, so we just blame colouring.’ Disagree on this one! 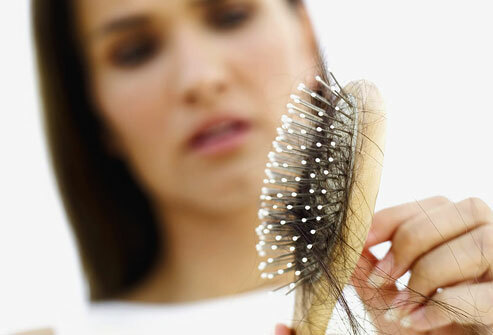 The more frequently you shampoo your hair, the oilier it becomes. I have heard lots of beauty bloggers talk about how they trained their hair to become less oily by washing it a bit less every week. I am quite a firm believer that the more you wash your hair, the more oils your scalp will produce to compensate what has been removed. Of course, Kingsley disagrees. ‘You might as well say that the more you bathe, the dirtier you get. Clean hair shows grease faster than hair that is already oily, similarly, clean clothes show dirt immediately, however dirty clothes wont. Myth! In total there are over 20 myths that Philip Kingsley address’s in his book, from brushing your hair a 100 times a night, to using a cold rinse to add shine. All of which he believes to be untrue! But who am I to contradict him, he has over 50 years working in the industry. For more info on the man himself and his products you can check out his website here. Let me know what you think of his theories, or if you know of any common hair myths to be untrue! Posted in Hair care and tagged Beauty, hair, Hair care, hair growth, hair oil, hair tips, haircare, natural, oil, organic, philip kingsley, Sulphate free. Bookmark the permalink. 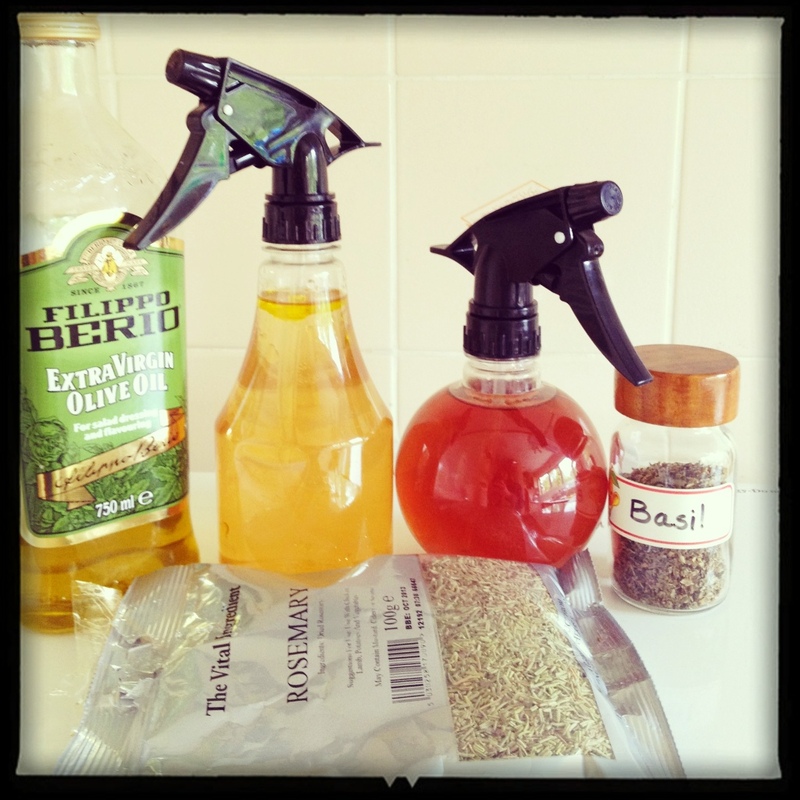 How & why I incorporate rosemary into my hair routine. As much as I love Nisim’s FAST shampoo and Lee Stafford’s hair growth range, you don’t always have to splash the cash in the quest for longer locks. Sometimes a little scavenge through your kitchen will unearth hair care gold!! 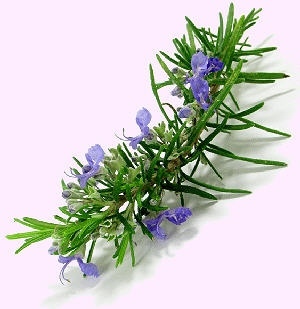 Rosemary is a really great natural stimulant, it is often used in aromatherapy and herbal teas to invigorate the mind and body. When applied to the scalp, it does an amazing job of stimulating your hair follicles, increasing blood flow and therefore improving hair growth rate, and for people suffering with hair loss, it can help brand new hair growth. It is also proven to darken the hair over time and will keep greys away. If that wasn’t enough it is also great at tackling dandruff and an itchy scalp and will leave you feeling fresh and flake free. Rosemary leave in conditioner is a natural way to detangle your hair and leave it super glossy whilst stimulating your scalp, and it’s so easy and cheap to make. 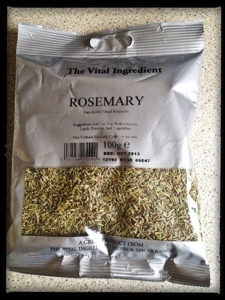 Take a pack of dried rosemary, I buy mine from Holland & Barrett for about £1.20, and put roughly 200g into a saucepan. Fill to the top with cold water and bring to the boil, simmer for about 20 minutes until water is a dark red/brown colour, keep stirring. Let this cool, then use a sieve to pour the water into a jug and get rid of the used rosemary. Once it’s completely cool pour into a water spray bottle (I get mine from poundland) and that’s it! 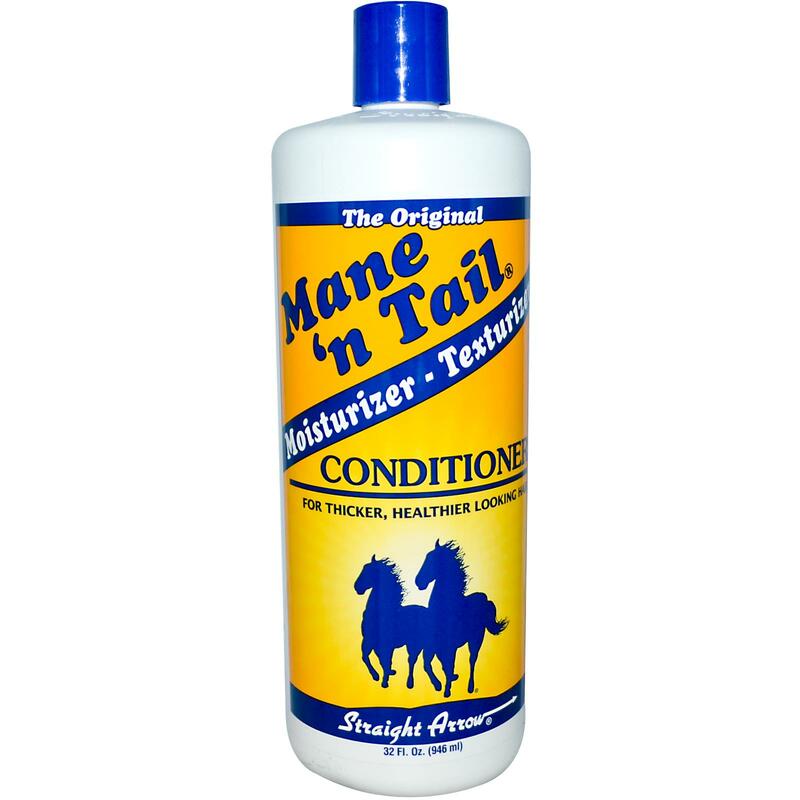 After you have washed your hair spritz this all over, and comb through. A rosemary and cider vinegar rinse is a great way to neutralise the ph of your hair as shampoo and conditioner is very alkaline and it can take your a hair a while to rebalance itself out, leaving it vulnerable to damage. The acidity of the vinegar will make your hair extremely shiny and healthy, the smell isn’t great but is masked by the rosemary and olive oil. Here’s how to make it. 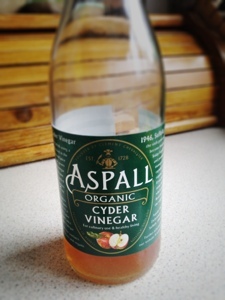 In a spray bottle, fill 1/3 with apple cider vinegar. Then fill the rest with the rosemary conditioner from the previous method. Add 4-5 drops of olive oil for extra moisture. To use, shake really well, remember oil and vinegar don’t mix! After conditioning whilst hair is still wet, spray evenly and leave for a minute. Then rinse fully. 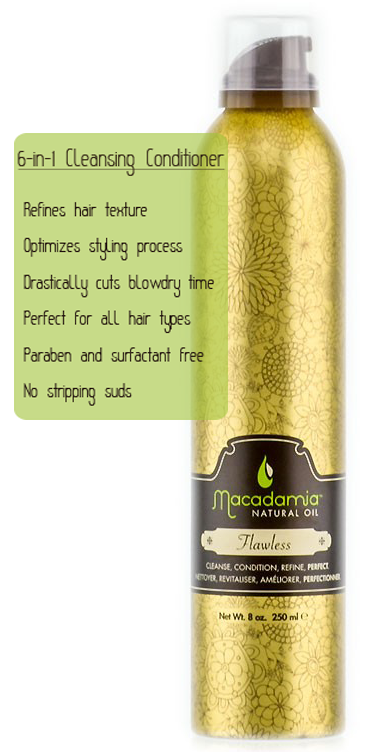 You should feel the results immediately and your hair will feel like silk! If you have read my blog before, you’ll know I’m a bit obsessed with using coconut oil in my hair. Well this post is no exception! An overnight mask will deliver maximum results, the rosemary to grow your hair and the coconut to repair any damage. Again this is super easy to make. 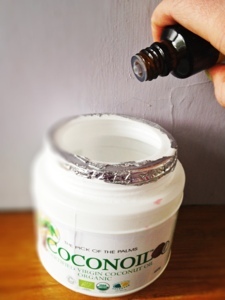 Then all I do is pour about 6-7 drops into my virgin coconut oil tub, use my hairdryer to melt the coconut and massage the mixture into my scalp and tips. I will then wrap it in a warm towel over night and wash out in the morning. Simple! Beauty starts from within I am always told, so this is a really easy way to boost your hair from the inside out. That first method of boiling the rosemary to make a conditioner, well that’s also known as rosemary tea and you can drink it! 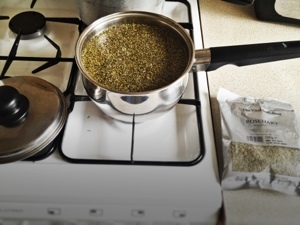 It’s not the nicest flavour tea, but I promise it will work wonders for your hair! Let me know if you have any other techniques for using rosemary!! Posted in Hair care, Hair Growth and tagged Beauty, Hair care, hair growth, hair oil, hairgrowth, natural, oil, organic, rosemary. Bookmark the permalink.